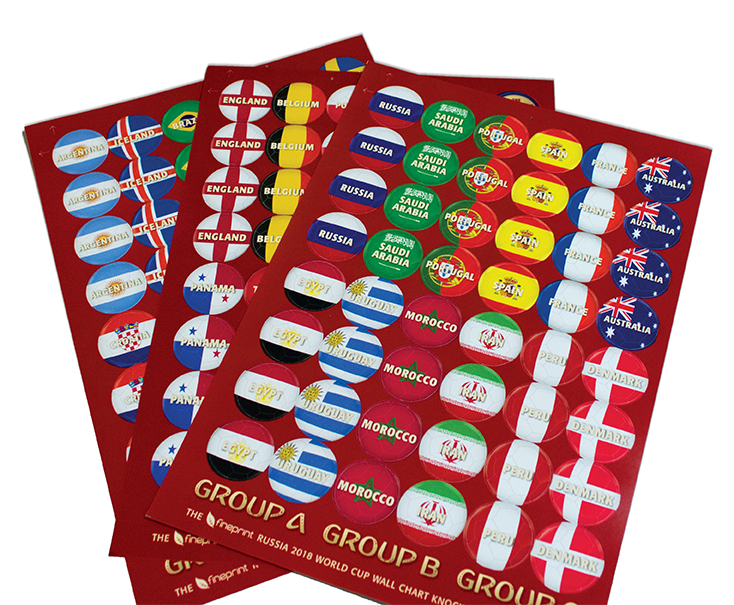 It’s official, we absolutely love designing and printing our infamous wall charts that are big and bold, printed on 170gsm Magno gloss with a gloss coating and come complete with A4 sheets of round team stickers for the knockout stages. This simple sticker design is just one variety that we can print and is a useful option for envelope seals as well as general promotion. 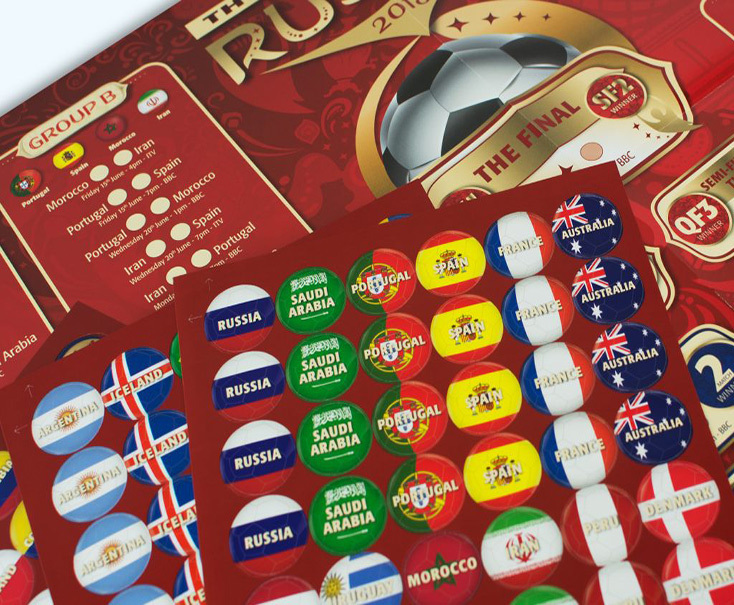 But there’s a world of stickers just waiting to be discovered including a range of window sticker options, removable wall decals as well as durable floor stickers. Yes, we may be biased but our big glossy wall charts are one of the best you will ever see but we decided we needed an additional version that was equally as brilliant but could easily be put in the post, handed out in large numbers and/or folded away if needed! The solution was a handy pocket sized folded mailer version that is compactly folded into cello bags for posting, yet opens out into a large wall chart when needed. The folded wall chart was printed onto 100gsm uncoated paper on our Heidelberg XL75 UV light drying press, with two covers that were printed on the HP Indigo digital press including mail personalisation. 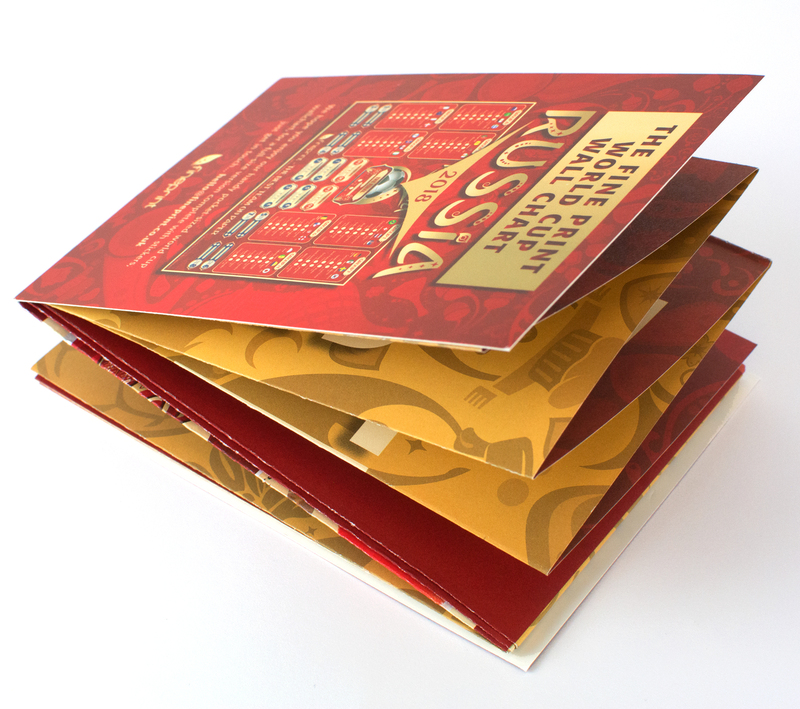 This style of print is particularly useful for information leaflets, maps and posters for mailing. 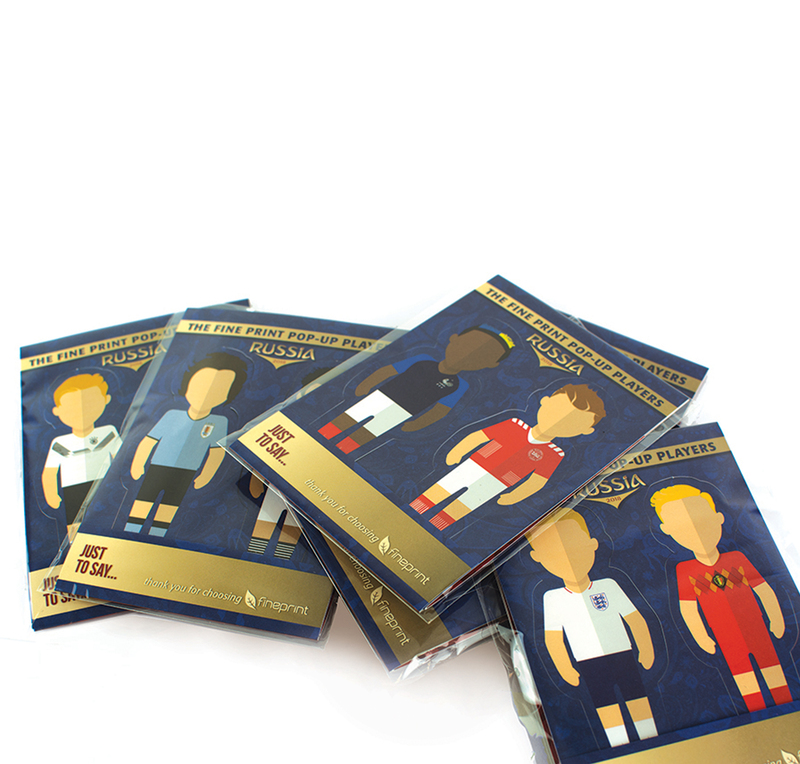 We thought we’d have some fun with some mini player cut-outs that are going into file copy bags during the World Cup. 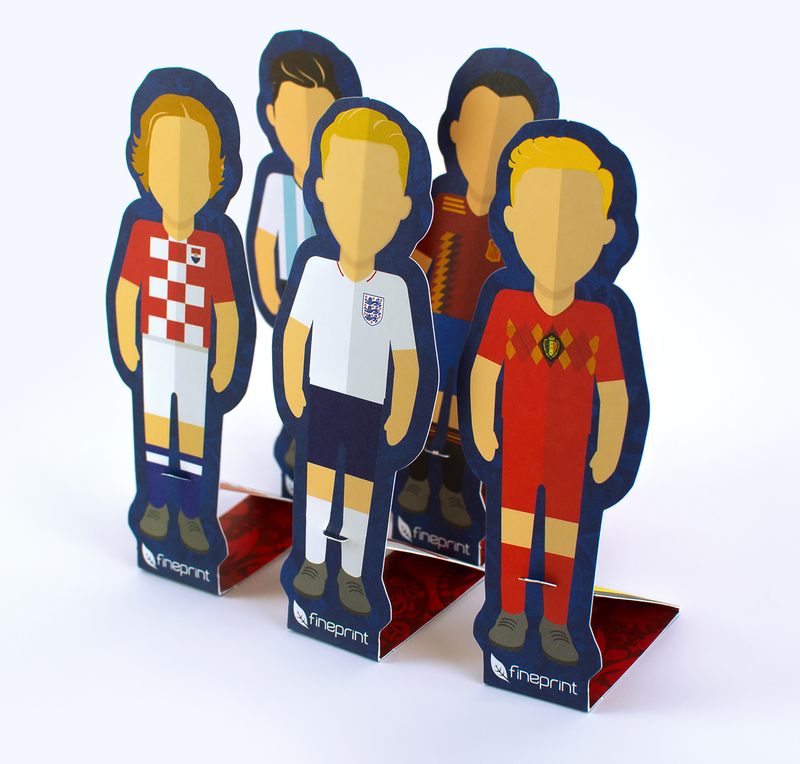 These pop-up players feature generic team information on the top two teams from each group so customers can ‘pop-up and swot up’ on the top teams. The cut-outs are easy to release by simply pushing the player from the carrier sheet, folding along the crease and pushing the tab into the slit. There you have it, a pop-up player! 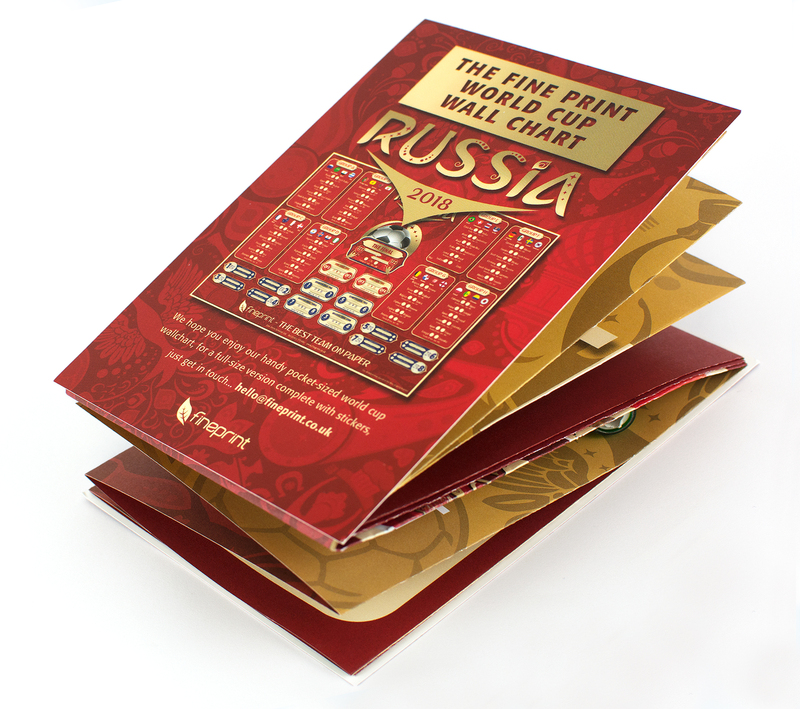 Why not shape your print too; from shaping printed mailers to POS stands and life-sized cut outs. Get in touch if you’d like a full size version of the wallchart or if you’ve been inspired and want to want to talk print!